The most delicious coffee from Third Street Stuff in Lexington, Kentucky! Black on black at the Bluebird Cafe in Nashville! Shop my look here! You can’t do a Pedal Tavern adventure without a hilarious shirt! Shop mine here! Couldn’t leave Nashville without a stop at the “I Believe in Nashville” sign! Shop my outfit here! Froze all day!! Finally got to try the infamous froze at the Maybelline Lounge during NYFW! Shop my outfit here! 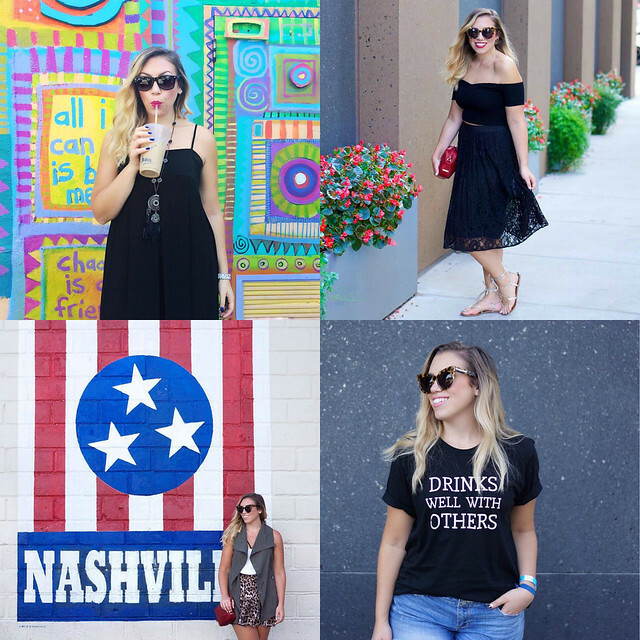 Celebrating National Coffee Day with a fun outfit & a few hilarious coffee tshirts! Shop them here! Want to know how I edited this and all of my photos? Check out my post here & shop this outfit here! 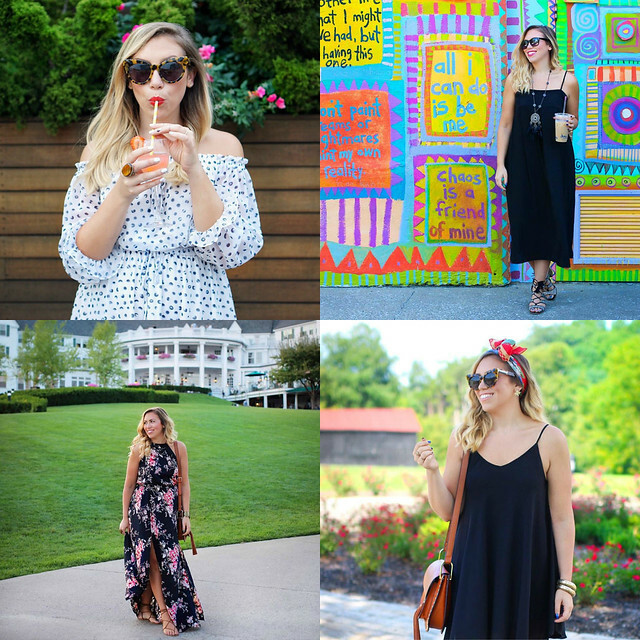 The perfect Summer to Fall transitional maxi at my favorite place ever, The Sagamore in Lake George! Shop similar pieces here! 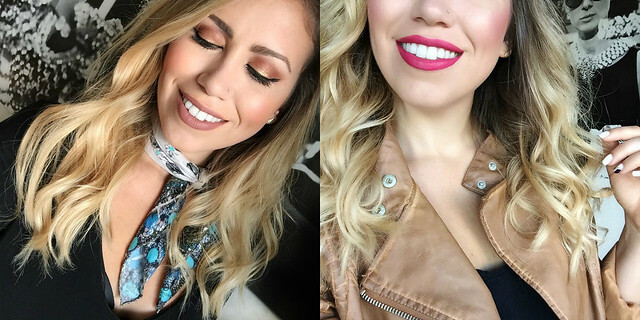 Fall Lips & Leather Weather! Shop my jacket & matte lipstick here! Nudes for Days!! These bareMinerals shades are amazing! Shop them here! Don’t miss my Beginner’s Guide to Airbrush Makeup! This off the shoulder dress is only $25 & you need it! Shop the whole look here! Bell sleeved maxis for Summer & Fall! Shop similar dresses & my accessories here! Black, white & red all over with Lafayette 148 during NYFW! Shop my look here! Feeling patriotic in red, white & blue! Shop this look here! The most perfect dress for Alex‘s big Southern wedding! Shop my dress & clutch here! 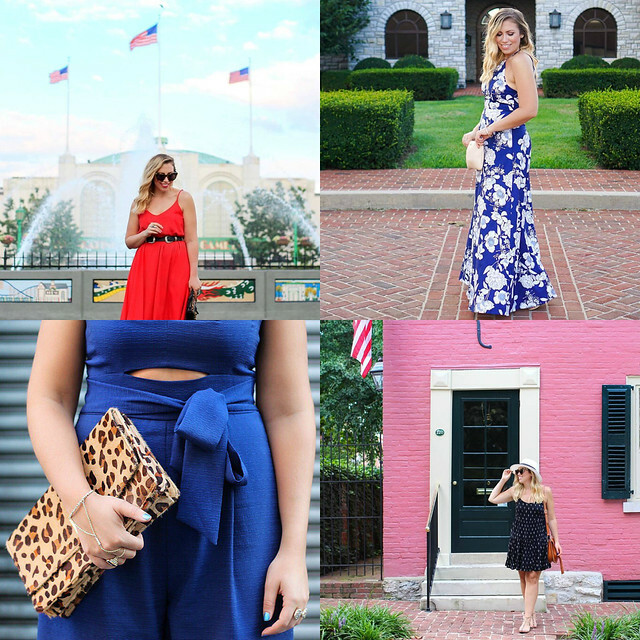 Casual summer style in front of the most photogenic house in Kentucky! Shop my look here! Throwing it back to one of my favorite NYFW outfits from last September. Another season of NYFW is under my belt and the looks that I saw sent down the runway might have been my favorite ever!! 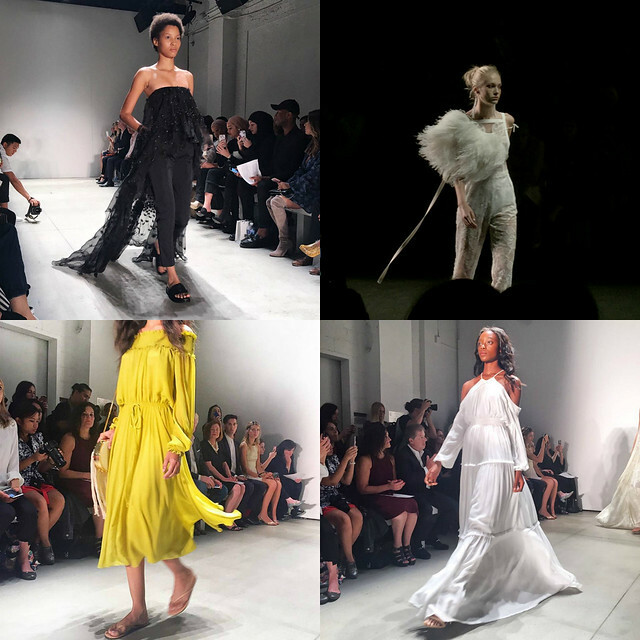 Flowing fabrics, boho style and lots of unexpected accessories ruled the runway! Here are my favorites from the shows I got to attend! Check out my Fashion Week Pinterest Board where I’ve been pinning all my favorite runway looks, street style and more from Fashion Month! 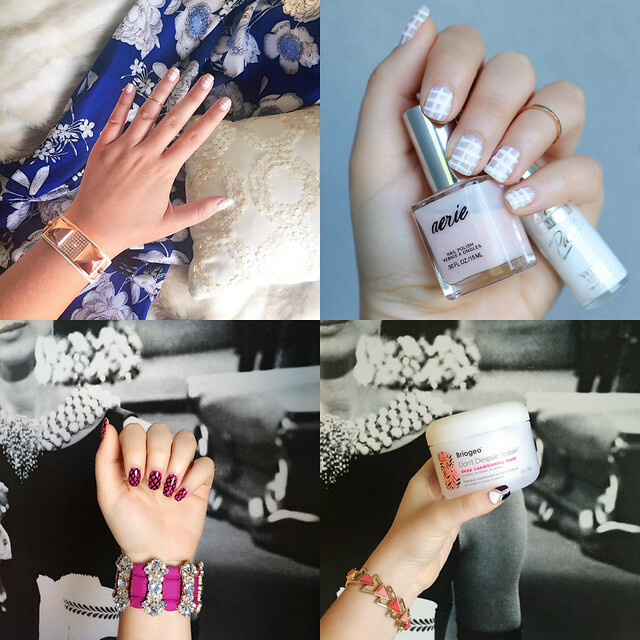 I’m debunking the myths about airbrush makeup this month on the blog! So many people think that airbrush makeup is super hard to apply and that it should only be worn for special occasions. This couldn’t be further from the truth! Head over to my Beginner’s Guide to Airbrush Makeup for 7 tips for getting the best airbrush results and for a 20% off discount code on your own system. Are you a Lightroom newbie like I am? I’m sharing the secrets to how I edit my blog photos in just minutes with Dreamy Presets! One month til my favorite holiday, HALLOWEEN!!! Megan and I are shooting our hilarious Halloween costumes this weekend (so make sure to follow me on Snapchat for a sneak peek), but while you’re waiting for the finished product check out last year’s 3 Halloween Costumes for You & Your Bestie and my Happy Halloween Pinterest Board! I got a new camera!! While we exploring Kentucky, carrying around my huge DSLR became a huge hassle and I was SO jealous of Jen‘s tiny DSLR quality mirrorless camera. I’ve been traveling a lot lately and I have a few more trips lined up, so while this camera was an investment, it was definitely worth it! I brought it to Nashville this past weekend and it was amazing! It fit in all my small crossbody bags and no one had trouble using it to take a quick photo for me! I ended up going with a Sony a6000 Mirrorless Camera with a 35mm 1.8 Prime lens, and while I haven’t mastered it yet, I’d be happy to help if anyone has any questions about it! I’ll still be using my DSLR to take a majority of my outfit photos and all of my nail and makeup photos, but this new camera will be coming with me while I travel! Looking for more inspiration. 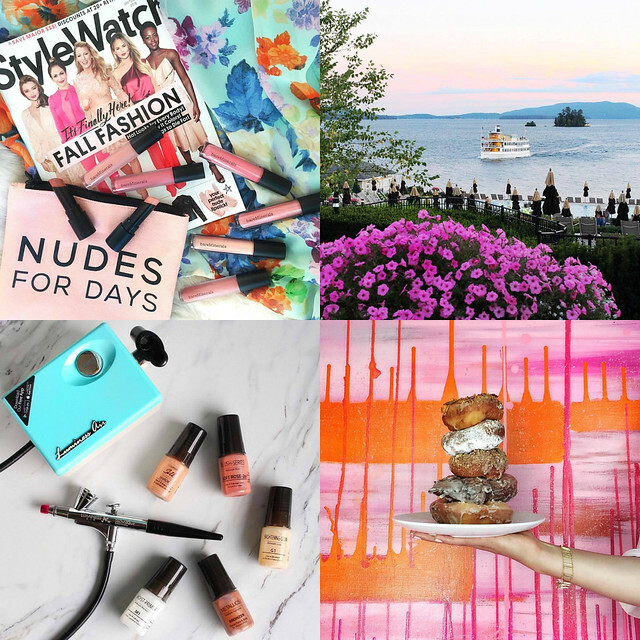 Check out my September 2015 Fashion & Beauty Round Up!